Ariana Grande has been busy slaying recently, breaking records and topping charts all over the world with just one single. 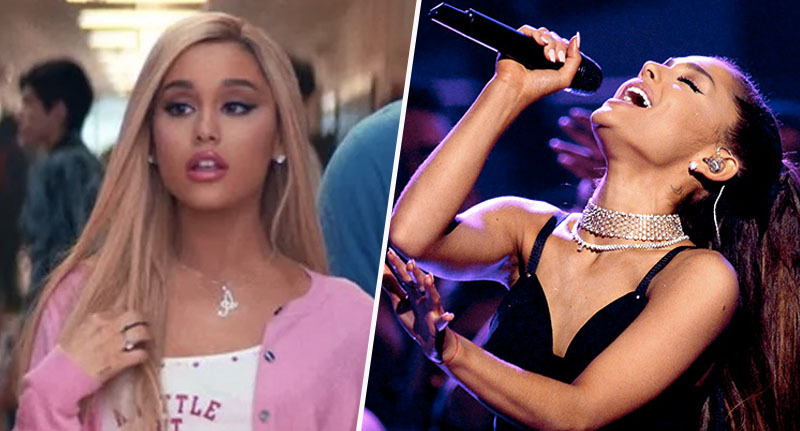 And she seems set to continue doing so, as her latest album Thank U, Next is due to be released on February 8 and fans are already out of their minds with excitement. Even more so when Ariana herself revealed the artwork for the album a couple of nights ago (January 23), before confirming to fans the true meaning behind some of the songs on the album in an unexpected Twitter reveal. The album, which shares the same name as its record-breaking lead single, will consist of 12 tracks – all of which were confirmed by Ariana in a tweet which displayed the album’s tracklist. As well as its namesake, Thank U, Next, the album will also include songs such as Imagine, Needy, and Ghostin. And for those of us who couldn’t wait another two weeks for its release, Ariana had some inside goss about the meanings behind some of the songs. First up, people wanted to know what In My Head was about, saying they ‘needed to know’. And Ariana didn’t disappoint, replying almost immediately with her inspiration behind the song. being in love w a version of somebody you’ve created in your head. falling for someone that they are not. Which, let’s be honest, I think most girls (and probably guys) can relate to on at least some level. And the No Tears Left To Cry singer didn’t stop there. Nope, she was on a roll and continued to answer her fans’ questions about the upcoming album, giving away probably more than she needed to (for which we’re eternally grateful). When asked what the eighth track on the album was about, Ariana didn’t hesitate in giving fans the answers they wanted/needed. feeling badly for the person you’re with bc you love somebody else. feeling badly bc he can tell he can’t compare… and how i should be ghosting him. Blimey. This just gets deeper and deeper. I’m not sure how many more revelations I can cope with to be quite honest with you, but Ariana was still on a roll. By my account, this track is the shadiest on the album – taking into account that I haven’t listened to any of the songs apart from Thank U, Next and am simply going off the song titles. Yikes. Not all of Ariana’s answers were as straightforward as this though, with the meaning behind NASA still being unclear to me. Space and a man? I’m absolutely clueless, so I guess I’m just going to have to wait the two weeks to see what that’s all about. The best guess I’ve got is she’s dating an astronaut, so I think we can all agree I’m way off the mark with that one.